Registered seedstock makes up only 1% of the entire cattle in the U.S. today. When you reflect on that fact, you have to be "wowed". 1% of the entire U.S. cattle today (registered seedstock) influences the welfare of the genetic value of the entire U.S. beef population. If you look at our past you will see that genetics got us here. And it took some time and doing. If you're a beef producer you will have to be guided by the right genetic plan if you're going to compete and efficiently contribute to the food chain. Consider the impact of genetics on U.S. beef since 1960. In 1960, the U.S produced 18 billion lbs. of beef where in 2007 we increased production to 27 billion lbs. During this time, total head were reduced by 5 million! And only did U.S. producers harvest more per head harvested, but they did it with fewer head! Luck won't get you there-only a plan will, and in this case it was a genetic plan. I grew up farming in the dairy business in southeastern Wisconsin in the 1970's. Back then the way I remember, our genetic plan was to collect 7,500 to 8,000 lbs. of milk annually per head. Those were pretty good numbers back then and weren't easy to come by unless you had a plan. Today, the average dairy female produces 17,000 to 20,000 lbs. of milk per day! Genetics will get you there if you have the right plan. Brangus cattle are an incredible breed for so many reasons. They give us the opportunity to do more than just focus on marbling, and they can go places other cattle just can't go. We can add muscle, fertility, carcass and do-ablity into these herds. At Third Day Ranch and we are continually investing in and measuring against our genetic plan. The results over the past handful of years here at TDR are graphic and undeniable. At TDR, we have seen our weaning and yearling weights skyrocket. The structure of our cattle meets the approval of many according to how they have been scored by independent cattlemen. The do-ability of this herd is light years ahead of where we started. And because we are all forced to do more with less these days genetics are the vehicle to get us there. We know that we cannot just feed our way to gain with $8 corn and $4 fuel. Instead we must have a strong genetic wind at our back and the attentiveness to manage the herd by the numbers. 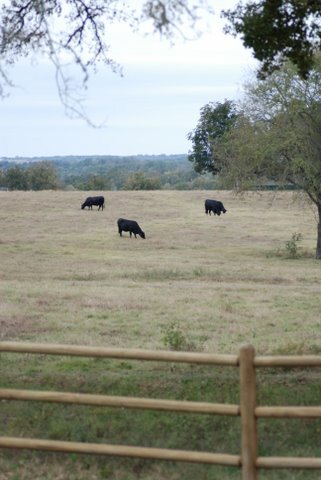 Our Donor cattle have made a huge impact on our herd. Their calves are the present and the future of the TDR herd. We used to look at our calf crop in two distinct groups: the top half and the bottom half. Our top half was always our AI & ET calves. They were fancy and easy to pick out from the rest of the calf crop. The bottom half were our natural service calves. They were decent calves but they definitely lagged behind the ET and AI calves in every measurable trait. If our herd was going to depend upon AI to curb our genetics we were going to have to be patient-very patient. We found the best we could expect out of our dams was at a maximum a 50% calf crop. That would take us some serious time to build this herd because with AI only we were only leveraging half of our herd! Bull power changed those numbers overnight. Our old "50% AI calf crop" became a 90% calf crop when we added three of the top Herd Sires in the entire Brangus breed to our active bull pen. Today TDR is home to 3 of the top 10 ranked Herd Sires in the entire Brangus breed including John Wayne 44L, New Direction 000M24 and Tank 165N3. 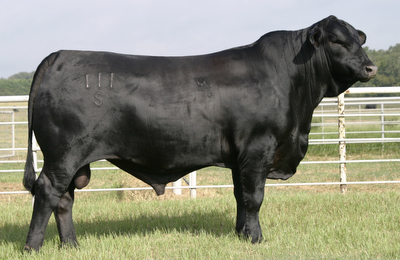 We are also home to the exciting Herd Sire Prospect, Strike Zone 111S. And that brings us to where we are today. At TDR, we are committed to two "constant ideals", and both revolve around quality. These two "ideals" are Productivity and Relationships. This does not mean we or our cattle are always perfect. It does reflect that we pursue something meaningful every single day. Our Productivity "ideal" is measured in primarily in how our cattle perform for our customers. We expect our cattle to rank in the top third of the industry.